40 years since its founding, IVF treatment for infertility has grown in many ways and reached countless numbers of people. Not only is the treatment more safe and technologically advanced, but it has spread across the globe with breathtaking speed. IVF was invented in the UK and the first successful birth was also carried out there in 1978. 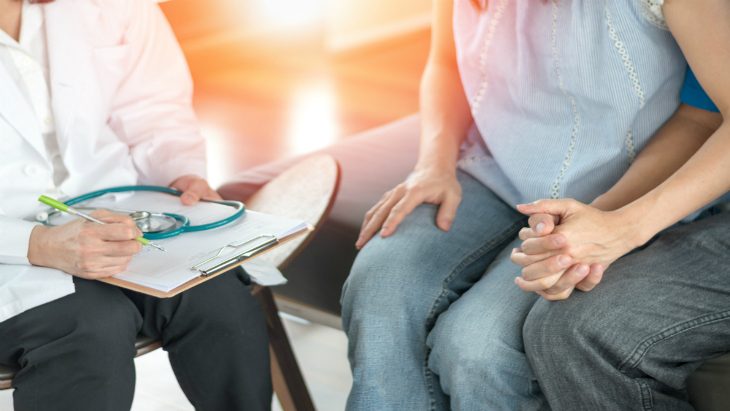 Since then clinics and practitioners can be found practically everywhere, and the choices for families seeking IVF must be overwhelming. In this article, Medical Travel Czech Republic zoom in on one particular success story in the IVF world, that of the Czech Republic. Medical tourism has become a driver in the industry, with thousands seeking affordable IVF abroad or cheap IVF in Prague. Why has this former-Soviet country become a top choice for families from the UK, USA and beyond…? First, a word on how things operate in the Czech Republic. A common misconception is that IVF abroad and IVF clinics in Prague Czech Republic are of lesser quality – something often reported by unreliable tabloid newspapers. The fact is that all clinics must be licensed by the government in order to operate, and that each clinic must submit success rate statistics to the government each year to ensure that their practice can continue. Furthermore, every two years an inspection is carried out in IVF clinics by SUKL (translated, this is the Institute for Drug Control), who ensure that everything is working to officiated standard. The popularity of Prague and other locations can be explained by two main factors. Firstly, the cost is considerably lower than that in the UK or USA, starting from approximately 2000 Euros or less for IVF cycles. Prices in the UK reach well into the thousands, and in the USA tens of thousands are often expected. This more obvious fact for popularity is contrasted by the generally attractive idea of an 'IVF holiday'. The popularity of this way of describing IVF treatments in Europe simply indicates that a journey abroad for a treatment can be a rewarding and relaxing thing if combined with aspects of a traditional holiday. Prague in particular is renowned for its beautiful, historical architecture, with affordable trains making rural parts of the country very accessible. Finally, the intimidation of going abroad to a non-English speaking country has been greatly neutralised for customers. Many clinics, including the best IVF clinics in Prague, organise their own coordination teams that ensure a smooth journey for Western customers. Translators, accommodation and more are often included as part of a whole package that can truly complete an IVF holiday. More clinics are beginning to open further afield in Europe, but the reputation of the Czech Republic as an IVF destination can only grow until serious competition opens up.